"With a resin Wave that disperses shock, cushions and protects, and an exterior featuring soft, suede overlays, the Wave Universe 4 is built for speed. A shoe that feels like there is more than there is. Just enough personified. " They weigh 3.8 oz and have amazing traction on the sole of the shoe. 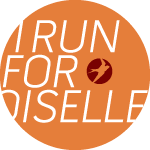 I am a HUGE fan and suggest these for racing or speedwork! I love the design and the color...mine are Royal Purple and Lime Punch. They come in unisex sizing so I normally wear a women's size 10 so these are a size 8 and fit perfect. I cannot get over how great they feel! 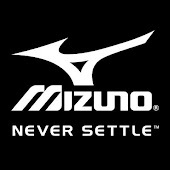 I have said it before but I am a MIZUNO fan and am very passionate about their products and gear! The customer service there is exceptional and they go way above and beyond to keep customers running! THANK YOU again. Also, if you are on twitter check out Premier Protein. They are hosting a contest currently and you could win a BOX of their new product they are coming out with! They have given 4 clues so far as to what the product will be...all you have to do is give a guess and be entered to win..You don't even have to guess correctly to win! Bonus!